One of the best ways to get coupons for your favorite products is to ask the manufacturer directly. They may periodically release them to the general population, but they might also have some to give…when you request them. Below you’ll find addresses for popular food allergen-free products and companies. And at the bottom, there is a coupon request letter you can download, personalize and then mail away. If you don’t see a company listed here, please let us know in the comments and we’ll get it added to the list. Print off this Word document template that you can customize and personalize. Then drop in the mail and cross your fingers that some coupons find their way back to your mailbox! Thanks SO much for making this so easy for us!! Recently I have emailed several companies and received awesome coupons. The companies included Amy’s, Glutino, Midel, Bell & Evans and Zevia. 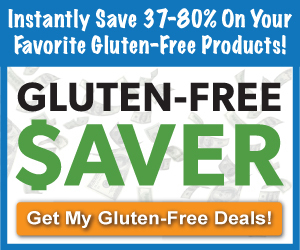 Glutino and Bell Evans had the best coupons…Buy One Get One Free! I love the Glutino GF Pizzas and the Bell and Evan GF chicken. The only people that declined to send me coupons was Annie’s who said they are wanting to ipact the carbon footprint and don’t send out or do coupons. I found that very odd as I have seen coupons on displays for Annie’s at local co-ops. Thanks for sharing Cynthia…that is really odd about Annie’s. There are a number of digital coupons they could offer! Hi guys, it’s Noah Wilkinson here! In my line of work, I have become accustomed to hearing, “Noah Wilkinson, can you help me meet my writing assignment deadline?” I know that I can provide this service. Hello and welcome to my webpage. I’m Noah Wilkinson. I have always dreamed of being a book writer but never dreamed I’d make a career of it. In college, though, I helped a fellow student who needed help. She could not stop telling me how well I had done. Word got around and someone asked me for writing help just a week later. This time they would compensate me for my work. If you’ve ever been overscheduled and couldn’t finish a academic paper, then you’ve come to the right place. I work with students in all areas of the writing process . I can also write the essay from start to finish.